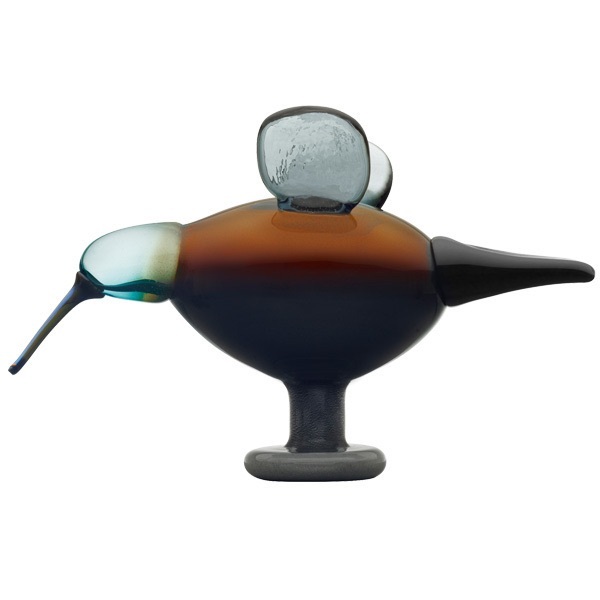 More about iittala Toikka Festive Catcher Called Juhlasieppari in Finnish, the Festive Catcher is an impressive bird in both size and craftsmanship. The wings, tail, and beak all balance the birds tall stance on a pedestal foot. Mostly brown, it has gray wings and a stunning turquoise head. Only 2000 of these have been blown, each numbered as a unique collectible.